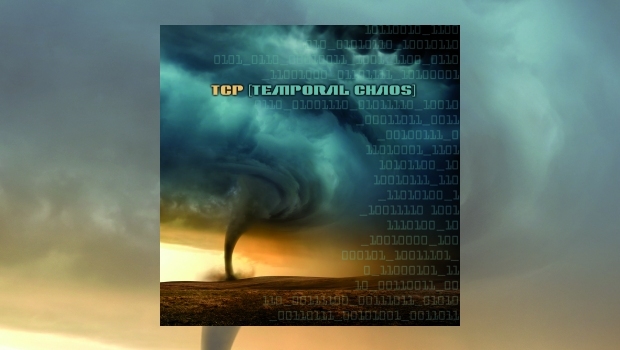 One of the highlights and surprise albums to come out of the slow US economic melt of 2011 was Temporal Chaos Project’s (TCP) Fantastic Dreamer which became one of my favourites of that year. It was also a critic’s favourite with several glowing reviews, which can be read on the band’s website. The inspirational and near 14-minute closer, Vision, was my favourite song for a number of years after the album’s release and I also sought out their first album, The Way, which is another simply stellar recording. So without hesitation I requested a review copy of their new album, Temporal Chaos, once general release had been announced for 12th July. TCP’s Blake Tobias hails from Johnstown, Colorado and mixed the album at Black Duck Studio, just north-east of Dan Fogelberg’s Nederland, and the Caribou Ranch. Just for reference, the cover for Supertramp’s, Even in the Quietest Moment was shot at Eldora Mountain Resort, an hour or so to the west, so some of the inspiration for Temporal Chaos comes from the perspective of a musician who lives and breathes in some pretty spectacular surroundings with mile high altitude…and attitude. As well as Tobias on bass and keys, TCP is made up of Jack Wright (guitars & drums), Glenn Arpino (keyboards) and Henry Tarnecky (vocals & keys) with special guests Nicole Tarnecky (Henry’s daughter) on backing vocals and Tom Shiben on bass. Temporal: “Relating to worldly as opposed to spiritual affairs; secular. Of or relating to time”. Chaos: “complete disorder and confusion”. Now, if this is your first listen to TCP then you are in for a wonderful treat, especially if you are a fan of Peter Gabriel era Genesis. Henry Tarnecky’s vocals are an excellent combination of Gabriel, Marillion’s Fish and Peter Nicholls from IQ. On this album of re-introduction, Tarnecky’s vocals have a crisp and rough Gabriel Melt album sound, at times sounding so much like Watcher of the Skies that you will swear that it is actually Gabriel singing. The burning wall of wind builds fury and power as the rhythm section and innovative lead guitar pierce the sky. All Hell breaks loose. After living three years on the Aurora plains of Denver, I know the storms of which they speak. Much better than the opening of Fantastic Dreamer, an over three minute blast-off. Ready for more! Tightening in my face…is that all important road. “If you’ve got time for the forest of lovelies with real deal compassion and childlike trust” maybe offers a tip of the hat to the imagery of The Lamb Lies Down on Broadway. Then, as if the excellent lyrics aren’t enough, the band executes a powerful instrumental jam, complete with those Trick of the Tail high keys. Almost nine minutes of bliss after the thundering hurricane opener. “What drives you hard and rolls you out of bed, she said? as Nicole gently sings “Impetus”. “The worm will turn and you’ll be back again. A brilliant painting of words set to elegant music. And we’re only 3 minutes into a near 10-minute epic. The keys take over, piano substituting for drums to keep the rhythm. The powerful sequel to Vision? Maybe. Nicole sings, “Relax your mind…you’re free”. Free to enjoy the band’s instrumental prowess. “I come to crystalize the thoughts that run behind your eyes” – sit back and enjoy this ride into bliss. I won’t spoil all of the lyrics, some of the best on the album. After a bass/drums opening to The Forces, Tarnecky sings, “Just say it. It’s easy. You know it. I wonder. How pleasing. The world is you covet. Oh when the forces come to complicate the love we made before. How could you shut the door?” Tobias and Wright weave a web of sound with Arpino’s keys as a landscaped backdrop. Wright’s solo is the best on the album. Tarnecky sings, “Her love was like money. So easy to take. In the garden like ‘Eden’, and I was the snake”. Then the pace quickens, Nicole singing supportive “do, do, do”s with one of those dreamy ’60s/’70s melodies surrounding it. Then Wright is back with beautifully inspired axemanship; long, high, stratospheric soaring. Nice. “What you know is what you see. To get a glimpse of what could be. Just try to love me as I am. Keyboards, drums and bass support the growing instrumental excursion, Henry and Nicole singing duet, then lead guitar takes over in a Genesis/IQ soundscape, enough to bring back memories but at the same time accentuating the difference. Guitar and bass paint landscapes to support the lyrics, Arpinio’s keyboards building a lush impressionistic wall. “Can you stop your heart if you want to? Take control of your breathe. “Years, how they pass us by. Tears, how they cleanse our lives. “Some people think that they are invincible. Somebody say that you have no principles. The bass and guitar solos are eerie and cool, many no doubt pick this as their favourite song. “Soul liberty, the will to perceive is third eye limited”; it dazzles for sure. In the Flame is wonderfully spacey with otherworldly keys. An epic follow up to Vision, it is much more tragic. “She wandered away before…I lost all I had and more. Her hunger for life her creed. Guitar paints a wonderful melody as the keys set the tone. “Suffer the world…suffer the pain. “Whose life…it’s yours or mine. “Surrender…no more pretender…open yourself to me. I will not ruin the ending. This is an absolutely great follow up to Fantastic Dreamer; although that did have the powerful and inspirationally epic ending of the title track, each song here is stronger. The power has been spread throughout the album, rather than concentrated at the end. Everything I was hoping for and more is here. Get this album and enjoy one of prog’s most innovative bands. Let’s help to make this band full time!